SAN FRANCISCO/NEW YORK - Huntsman Architectural Group announces four promotions in the firm’s San Francisco and New York offices. Promotions include one senior associate – Melody Schumacher and three associates – Edna Wang, Elvira Gershengorn and Lisbeth Mendizabal. "Each of these individuals demonstrates a commitment to evolving our firm’s practice and expanding our client partnerships,” shares President and CEO Sascha Wagner, IIDA CID LEED AP. “Their leadership, passion, and creativity are not only strong assets in the firm’s ability to deliver meaningful projects for our clients, but also in making Huntsman a great place to work." 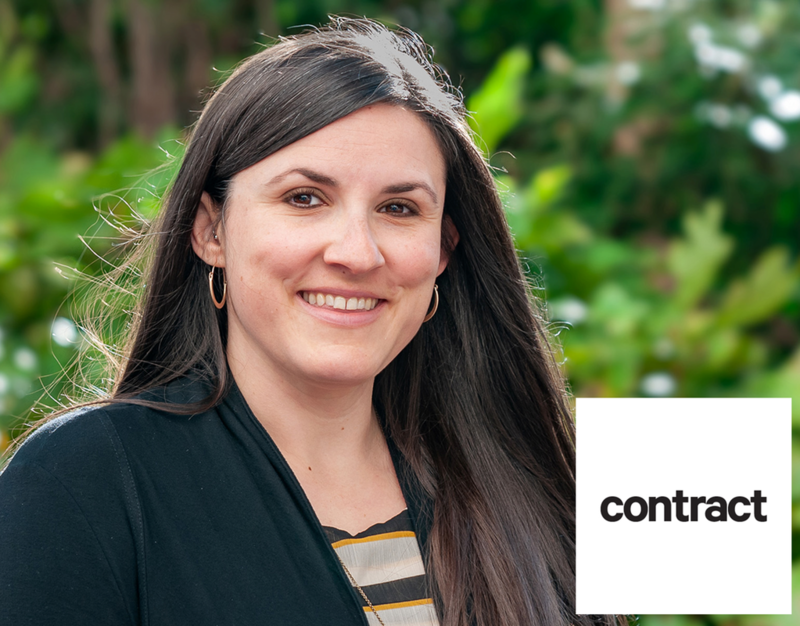 As a senior designer in the firm’s San Francisco office, Melody Schumacher, NCIDQ LEED AP ID+C has been promoted to senior associate. Over her 20+ year career, she has worked on a wide range of projects with clients including financial services, technology, media, healthcare, residential, and retail companies. Experienced in all phases of planning, design, construction and permitting, her recent projects including interior tenant improvements for Google, YouTube, Allianz, LewisPR, and Union Bank. Melody lends her focused expertise in sustainable design to projects, ensuring they meet strict environmental and sustainability standards - from furniture and finish materials, to lighting products. Melody received her Bachelor of Interior Architecture from the University of Oregon and joined Huntsman in 2012. Promoted to associate, Edna Wang NCIDQ LEED AP CID has over 11 years of experience in architecture and interior design for technology companies, financial investment and law firms, and corporate clients. Edna works closely to explore, identify and integrate her clients’ expectations and goals into the design process. She is experienced with space planning, construction documents and construction administration, as well as the coordination and selection of finishes and furniture and using 3D modeling to create compelling design presentations. Her recent experience includes the design of tenant improvements for Google, Medium, and Xoom. She received a Bachelor of Design in Interior Design from the University of Florida in Gainesville and joined the firm in 2013. Having joined the Huntsman's New York office in 2015, Elvira Gershengorn LEED AP has over 15 years of experience providing design leadership for a wide range of architectural and interior design projects for corporate entities, law firms, financial firms, entertainment companies and healthcare clients. As senior designer, Elvira specializes in project management, programming, design, and the coordination of Furniture, Finishes, and Equipment. She has effectively contributed to the New York office's business development initiatives. She recently provided design leadership and expertise on projects for Moody's, Combs Enterprises, Vice Media, and IBM. As a LEED accredited professional, her knowledge of sustainable design practices gives Elvira the ability to educate clients on the integration of sustainable technologies into the design of their projects. She received a Bachelor of Fine Arts in Interior Design from the Fashion Institute of Technology in New York. Lisbeth Mendizabal LEED AP joined the firm's New York office in 2015 and has played an integral role during all phases of design and production, from project planning through construction administration. Her diverse portfolio includes projects ranging from building renovation, historic rehabilitation and adaptive re-use, to interiors for corporate clients, educational, and community facilities. She has over 18 years of experience in base building architectural and tenant improvement services including façade and lobby design, as well as tenant programming and space planning. Lisbeth excels at prioritizing the needs of clients while working on complex projects with multiple stakeholders, maintaining timely schedules, and meeting budget requirements. A licensed architect in both New York and New Jersey, Lisbeth holds a Bachelor of Architecture from Auburn University.